ABSOLUTE TRADEMARK NAME LINE FOR ALL SPORTS RELATED PRODUCTS AND EQUIPMENT PARTICULARLY FOR TENNIS AND PICKLEBALL. OR A SPORTS BRAND BY ITSELF. 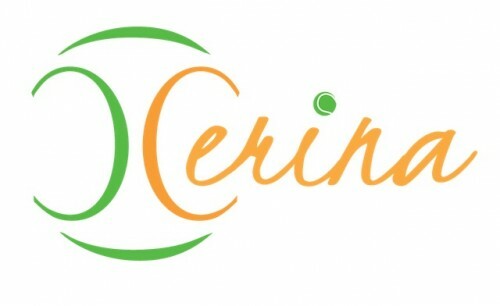 “CERINA” WITH A “C”. THIS IS MY REAL NAME, NOT A PUN. SPORT COURTS EQUIPMENT PARTICULARLY TENNIS AND PICKLEBALL.